Merlin PCB Group has a great record for investment in manufacturing equipment, this year alone we have installed a second MDI from Schmoll, an Antares X-ray drill from Adeon and two new LM2 NC drills also from Schmoll. This investment has improved our capability and expanded our capacity to ensure we can meet our customers demands. To compliment the manufacturing equipment, we are also developing our support functions within the quality department, product quality and reliability are paramount and in order to demonstrate process performance, there is a growing demand for destructive testing. Micro sectioning product enables microscopic examination of the PCB structures where drilled hole quality, copper though hole and surface deposition, laminate integrity and surface deposition processes can all be evaluated. Merlin Circuit Technology has invested in the latest Buehler micro section grinding station EcoMet 30 Grinder-Polisher and associated tooling system PC-Met Precision High Volume PCB Accessory. 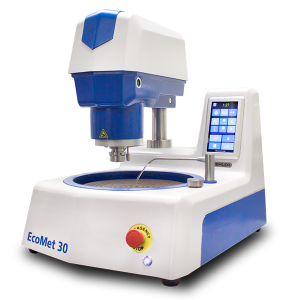 The EcoMet 30 Grinder-Polisher provides a simple, economical, robust, high performance solution delivering the versatility of manual and semi-automatic sample preparation. 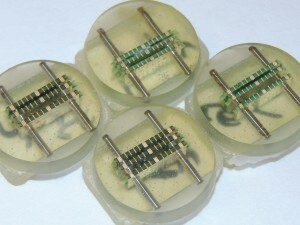 The power head increases efficiency and guarantees consistency among samples. The many features of the grinding station, counter head rotation, variable speed and force provides an excellent platform to deliver high quality sections. The PC-Met tooling system has a multi-station grinding head where as many as 36 sections can be produced in one operation dramatically increasing throughput. This is a tooled system operating from diamond depth stops which delivers precise grinding to the centres of the target holes which is essential for accurate measurement.